Welcome to the Ehrhardt laboratory at the Carnegie Institution for Science. We investigate plant cell development and morphogenesis, utilizing live cell imaging techniques to visualize the organization and dynamic behaviors of molecules and organelles. Problems of special interest include how cells generate asymmetries and specific shapes. 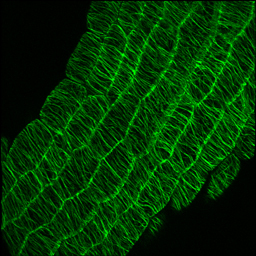 Currently we are investigating how the cortical microtubule cytoskeleton acquires organization and how this organization in turn functions to guide patterns of cell growth and division. Copyright Sean Cutler and David Ehrhardt, all rights reserved.